There are a number of affordable marketing automation software providers. Equally there are a very many expensive marketing of automation software providers. This list includes some affordable options as well as some affordable options that can grow with you as your business expands or your requirements change. 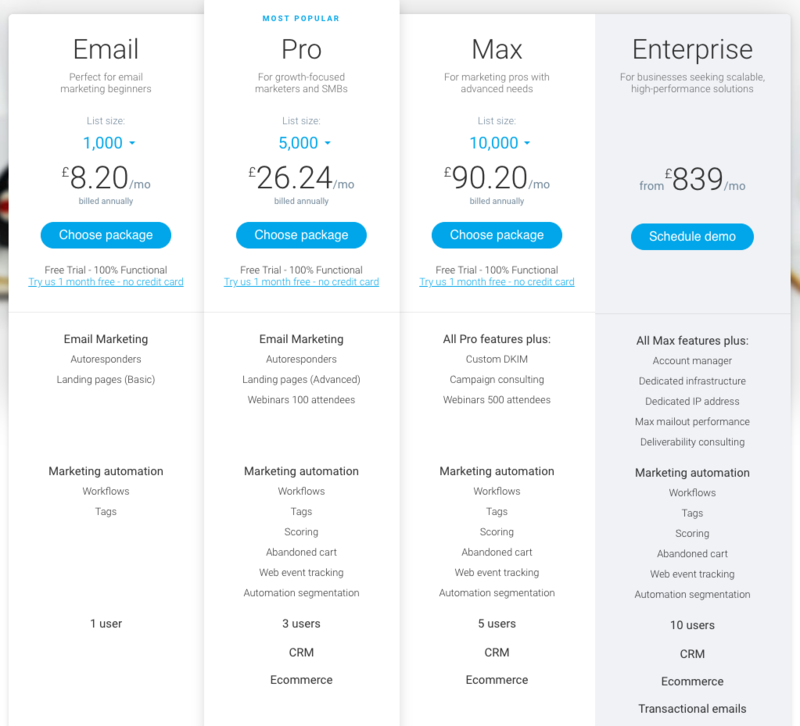 As with all things you generally get what you pay for, but there are some sweet spots in the marketing automation software space where some of the solutions are genuinely affordable. A small caveat here, I would not recommend going with a cheaper solution or a solution that can’t scale, reason being it takes a lot of time and effort to get a marketing automation platform up to speed and delivering results. Don’t underestimate the time it takes and the cost of your time to set the system up. We recently provided HubSpot to a client that had spent the last year and a half working with SharpSpring. Interestingly when they were evaluating Marketing Automation software back then, we suggested HubSpot, the other consultancy in the picture pitched SharpSpring. The client went with the more affordable option - SharpSpring. It was a mistake that set them a year and a half back. Second time around they have come back to us, see the value in HubSpot as their Marketing Automation platform, and now consider it affordable. As and aside, SharpSpring seems to provide a few small companies with Marketing Automation in South Africa, we do come across it every so often. I have not included SharpSpring in this article as we have yet to see a successful implementation. Don’t make the same mistake, the time and the opportunity cost for the business is immeasurable. 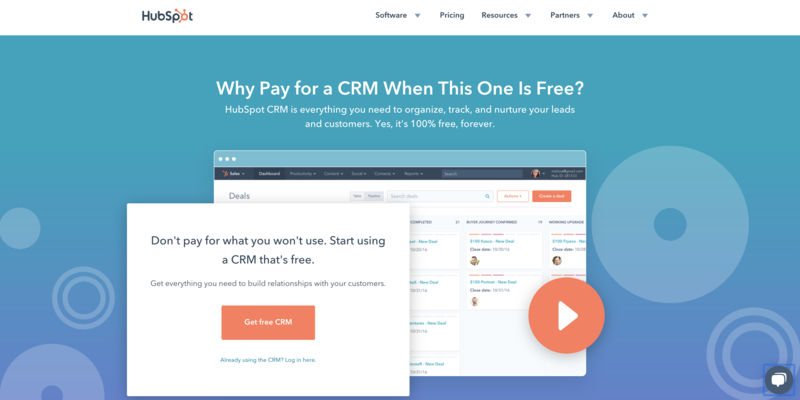 HubSpot comes with a free CRM, and HubSpot Marketing Starter solution is only $50 p/month. The major omissions that you need to take into account on HubSpot Marketing Starter vs Professional are the exclusion of landing pages and workflows. 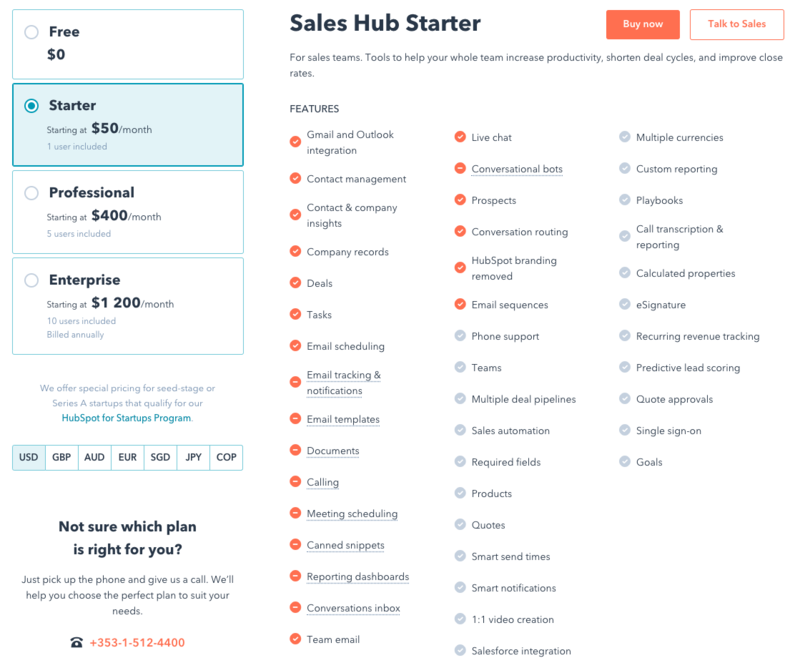 Now go add in HubSpot Sales Starter package ($50 p/month) and you get what HubSpot calls ‘Email Sequences’ which gives you access to automation workflows in HubSpot. You can only enrol contact one by one, but this is perfect for nurturing on smaller databases up to 1000 contacts. 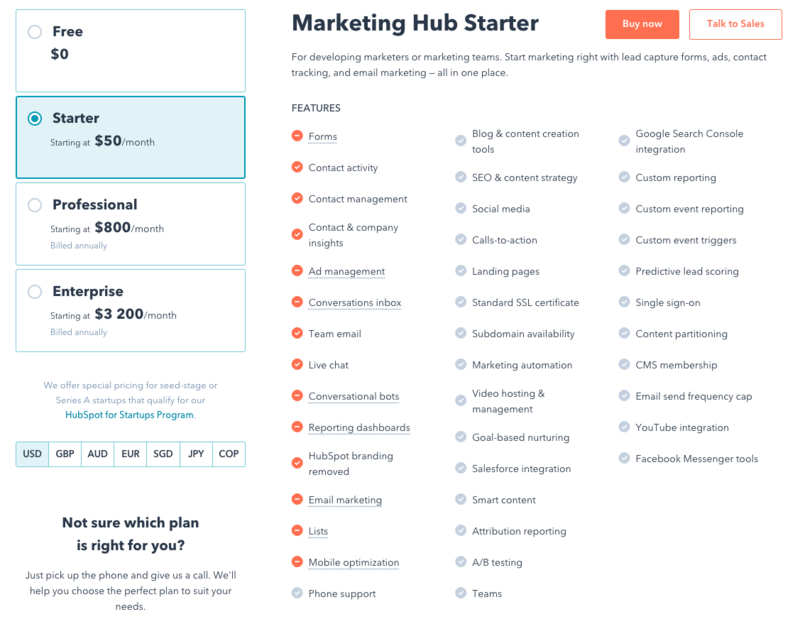 Larger automation requirements you need to go for HubSpot Marketing Pro, starting at $800 p/month, or read on and try the solutions below. HubSpot is so much more than email automation and list segmentation, which is predominantly what the next two affordable marketing automation software providers are. HubSpot adds in SEO, Social Media Management, Content Management, CRM and Sales tools, Bots, Ticketing and more. If you think you will use these solutions, go for HubSpot. Start with the Starter packages from the firm. 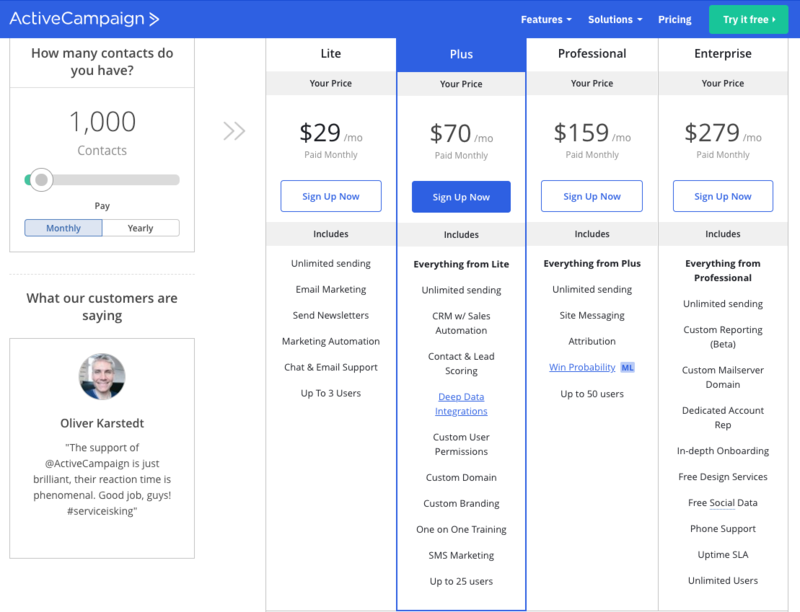 Predominantly an email automation platform, GetResponse does provide affordable marketing automation, but at a level where growth with the platform might be limited if you want to integrate with and existing CRM and and the sales team. Users - you can only have one user account on the Email plan; 3 on Pro, 5 on Max and 10 on Enterprise. ActiveCampaign is very well-designed and its intuitive user interface is very easy to use. It’s one of the few marketing automation tools that really does lend itself to quick learning. For pure affordability, ActiveCampaign is the one. 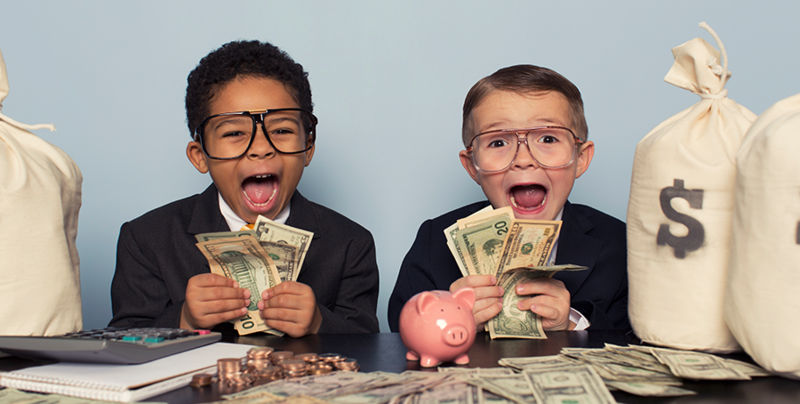 Pound for pound it is the most affordable marketing automation solution out there. ActiveCampaign is a great email marketing platform and sales CRM platform that revolves heavily around automation. Like GetResponse, ActiveCampaign uses a powerful visual workflow builder to create automatons. You can build complex automations with conditional logic. But, while the automation sequences are beautifully designed, their CRM and email builder leaves a lot to be desired. The CRM is very hard to use, with a layout that requires scrolling and is in dire need of an overhaul. One last thought - and reiteration of an earlier point - we are biased because we work predominantly with the more expensive platforms like HubSpot, Pardot, and IBM - do consider what your marketing automation software will need to do in the short, medium and long term. ActiveCampaign and GetResponse are great affordable marketing automation software options, but they do have limitations. HubSpot like the other option just mentioned can grow with you for years. Like this article? If you did, then why not download our eBook on how we used HubSpot Marketing Automation software and HubSpot CRM to improve our sales numbers.